How can I integrate my Amazon Store? 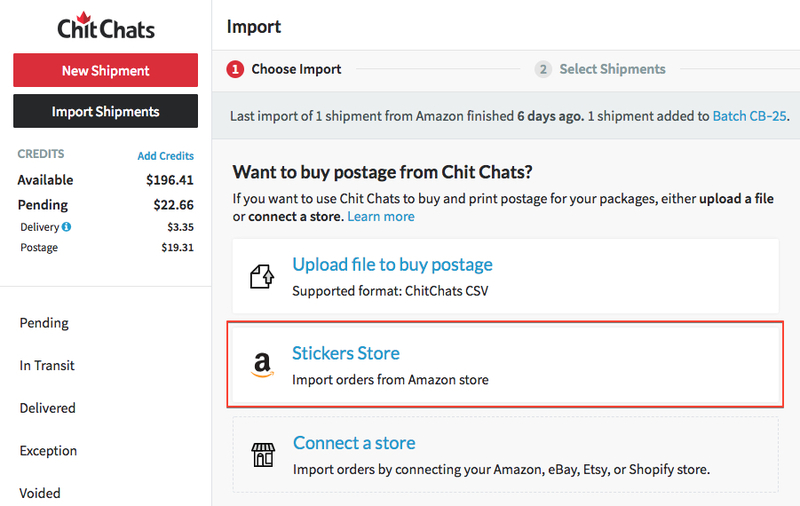 Integrate your Amazon store and import orders into Chit Chats in 6 steps. Note: Importing your orders does not select or buy postage for you. After importing, you can select, buy and print your postage. 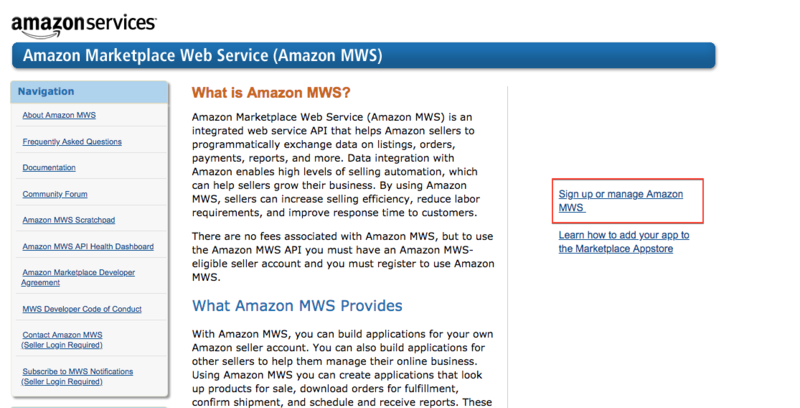 Step 2: Go to http://developer.amazonservices.com and click on Sign up or manage Amazon MWS. Login with your Amazon Seller credentials. 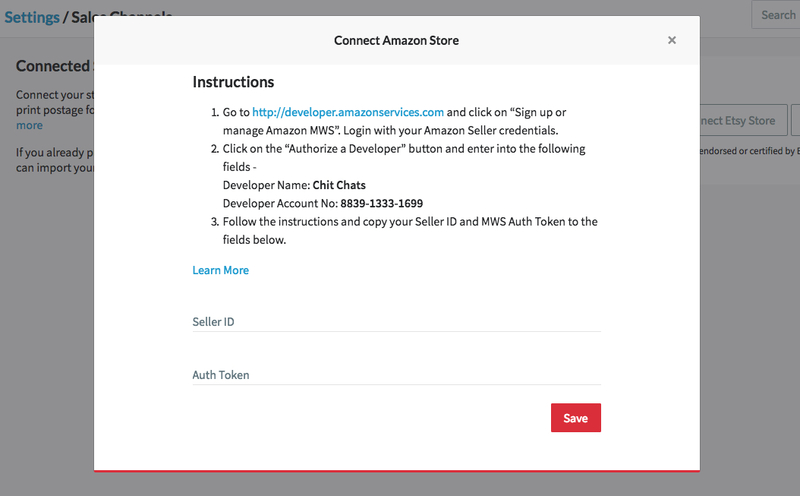 Note: Each separate marketplace will require an individual store connection in Chit Chats. i.e. If you have an Amazon seller account serving both the U.S. and Canada, two stores will need to be added. 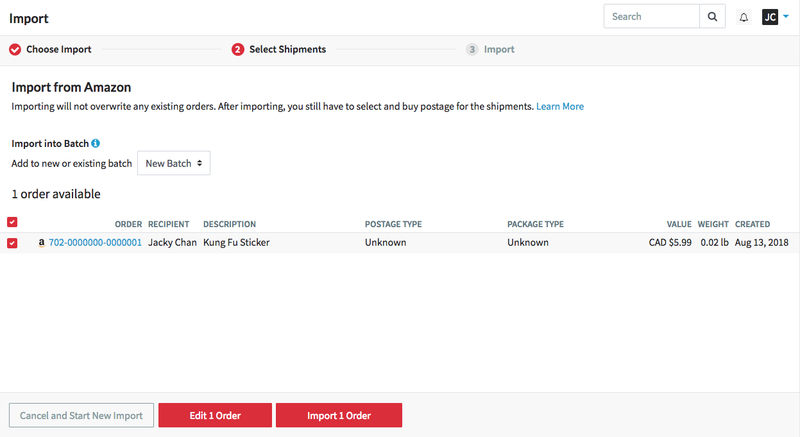 Step 6: Go to the newly created batch or Pending tab to view your imported shipments. From here, you can select, buy and print your postage. Congratulations! You have just integrated your Amazon store with Chit Chats and imported your first round of shipments. The Amazon order is fulfilled and marked as shipped with the tracking code when postage is purchased. You have a choice of sending back the Chit Chats or Carrier tracking code. Amazon may be more familiar with the carrier tracking code and provide more information. You can learn more about changing your store fulfillment settings here.